Goddess Shailputri Mata is a daughter of Himalaya and first among nine avtar of Durgas. 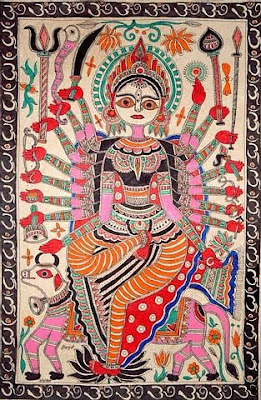 In previous birth she was the daughter of king Daksha. 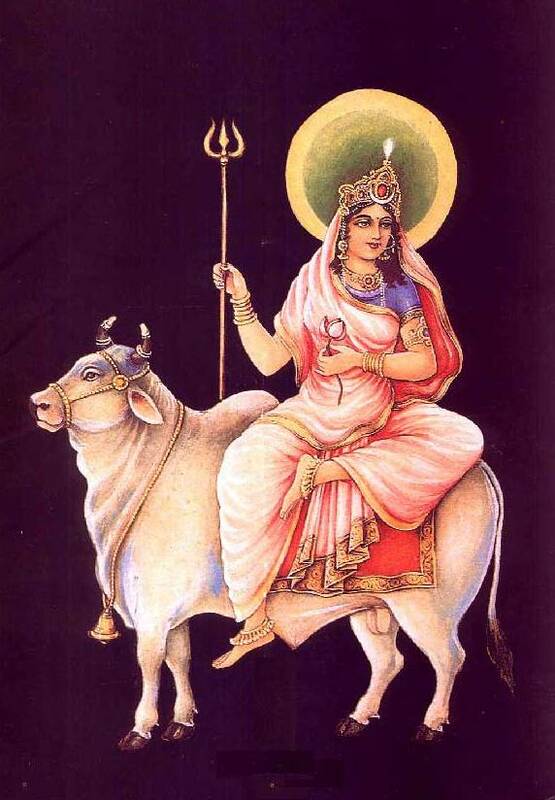 Her name was Shailputri, Sati - Bhavani. the wife of Lord Shiva. Once Daksha had organized a big Yagna and did not invite Shiva. 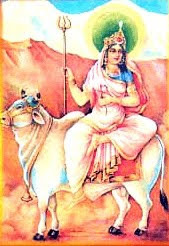 But Sati being obstinate, reached there. 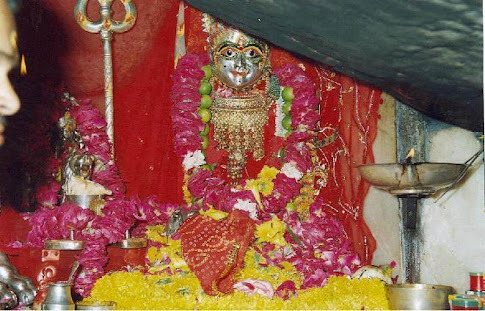 Thereupon Daksha insulted Shiva. Sati could not tolerate the insult of husband and burnt herself in the fire of Yagna. In other birth she became the daughter of Himalaya in the name of Parvati - Hemvati and got married with Shiva. 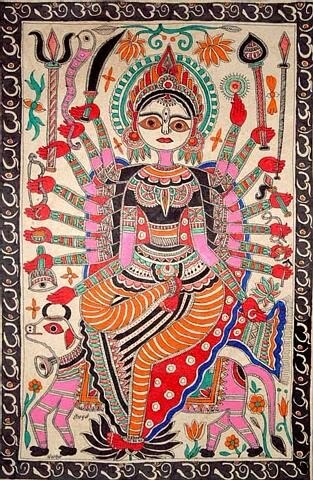 As per Upanishad she had torn and the egotism of Indra, etc. Devtas. Being ashamed they bowed and prayed that, "In fact, thou are Shakti, we all - Brahma, Vishnu and Shiv are capable by getting Shakti from you." 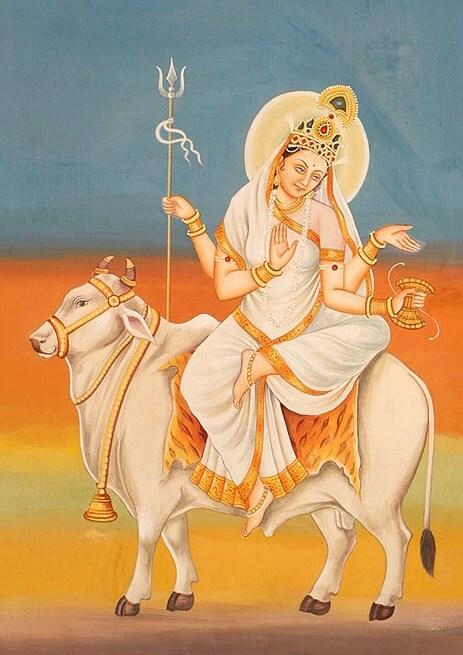 Vrisharunda shulhara Shailputri yashsivneem ! !